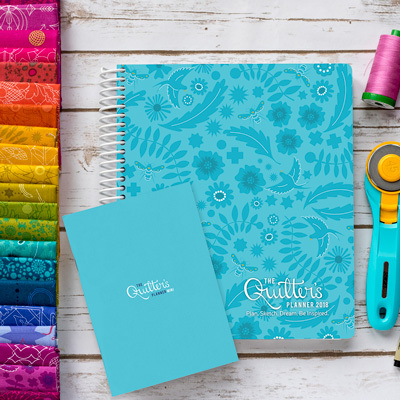 Welcome to our next installment of the 2018 Quilter’s Planner Designer Spotlight! We’re publishing posts highlighting each of the designers/quilters that contributed a quilt and pattern to our 2018 planner. Today we’re visiting with Leanne Parsons. Welcome, Leanne! 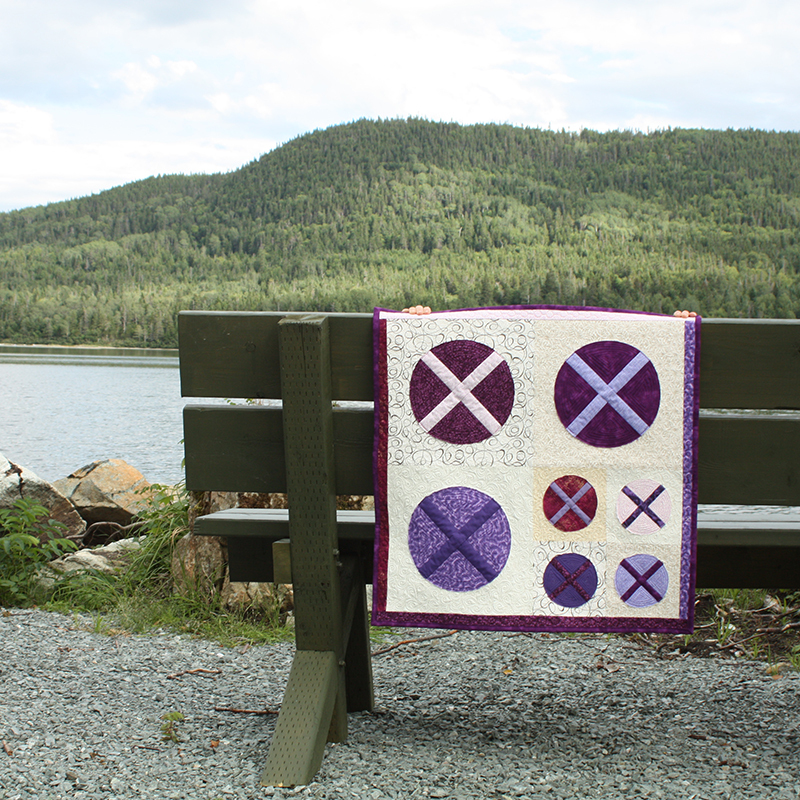 Please tell us a bit about the quilt you designed for the 2018 Quilter’s Planner. What was your inspiration? Churn came about because I challenged myself to make a quilt that used a traditional block in a new way and also incorporated some alternate grid work. 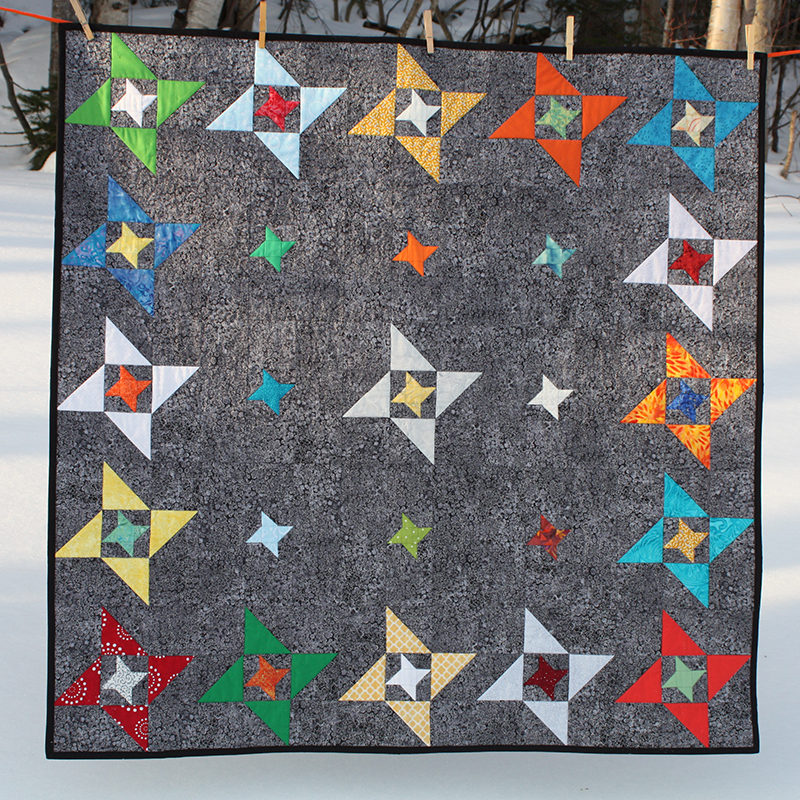 I didn’t want the negative space to be plain, though, so I included simple low volume patchwork to add interest without taking away from the pieced blocks. I think it’s a fun design that comes together quickly, which is always a bonus! 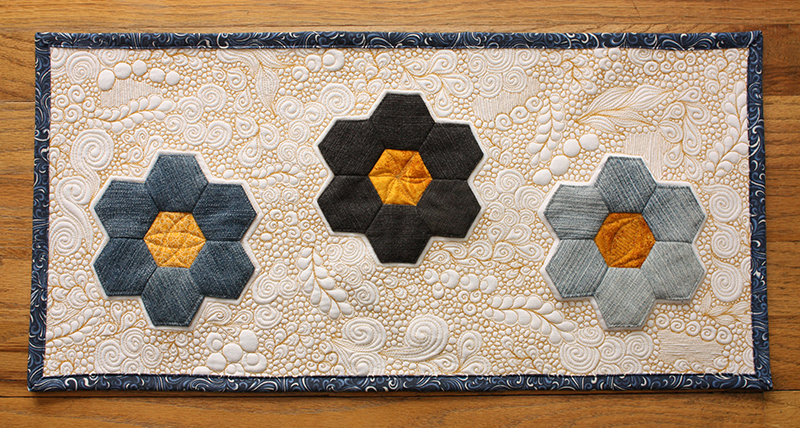 How and when did you start quilting? 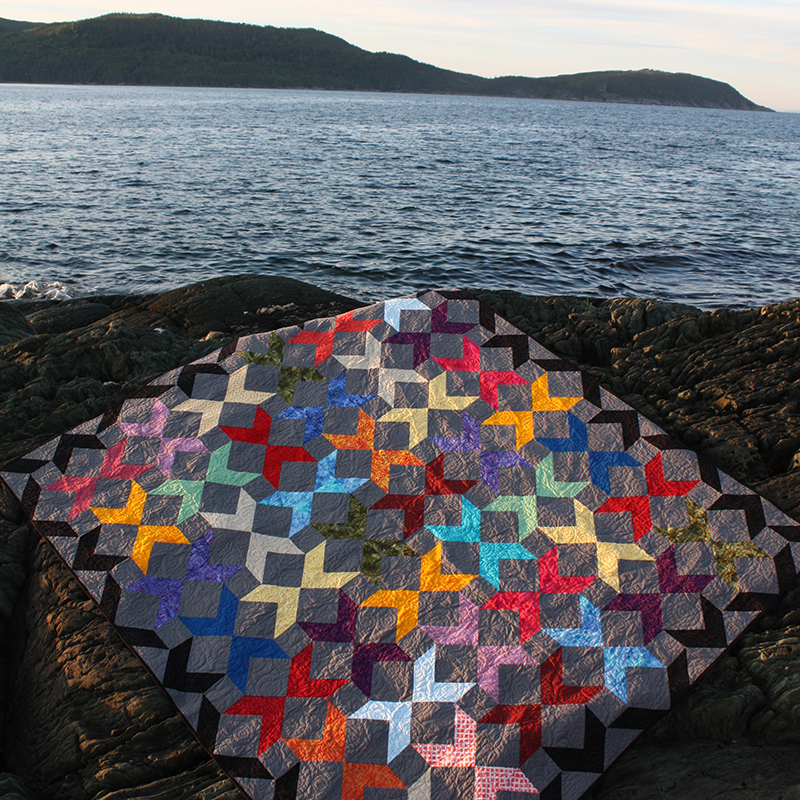 I started quilting 20 years ago during my second year of university. A friend was getting married and I decided, out of the blue, to make her a quilt. It was hand embroidered, hand appliqued and hand quilted, but machine pieced. Churn by Leanne Parsons. Photo and pattern included in the 2018 Quilter’s Planner. Photo by Kitty Wilkin. What is your favorite quilting or sewing tool? Tough question! I think I’d have to say my rotary cutter. I’ve done some piecing with templates and I really appreciate how the rotary cutter makes cutting out a quilt so much faster and more accurate. What type of sewing machine(s) do you use? I have a Kenmore machine. My husband gave it to me for Christmas in 2009 and I love it! What is your top quilting tip or time saver? My top quilting tip is this: Wherever your skills are today, make the best quilts you can, but don’t obsess over the mistakes you make because they’re all part of the process of learning and improving. Plus, any non-quilters you gift the quilt to won’t even see the mistakes. How do you deal with creative blocks or ruts? I have a lot of different projects on the go at different stages, so if I’m not feeling it with one project I just work on something else. And if I don’t want to work on any of them, I take a break and get outside. A change of scenery always helps. Do you have a favorite fabric designer or manufacturer? No, I don’t. I like to mix and match! What is your favorite color or color combination? I’ve always loved blue in any variation. Lately the combination of a deep cobalt blue and vibrant orange has been really catching my interest. How did you fall into this career path? 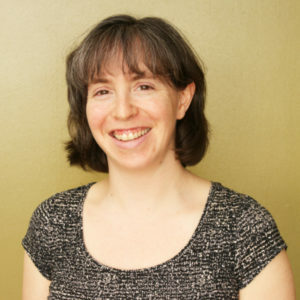 Amy Gibson’s blog, Stitchery Dickory Dock was the first blog I read, which opened me up to the whole online quilting community. 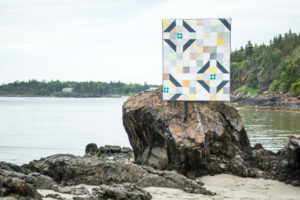 Then starting my own blog and being a part of the community made me realize that quilt designers don’t need any special qualifications (I don’t know what I thought those qualifications were, but I was pretty sure I didn’t have them), and that they were just ordinary quilters like me. That gave me the confidence I needed to start designing and now I have so many design ideas I can hardly keep up! How did your career evolve? Who helped along the way? How did they help? What current or upcoming projects are you most excited about? I’m working on a few new patterns now and am trying to decide which of my ‘bigger’ ideas I want to pursue first. There are so many things I want to try that it’s hard sometimes to pick just one to concentrate on! Thank you for contributing your talents to the 2018 Quilter’s Planner, Leanne. We appreciate your time and the quilty goodness you’ve shared with us today! To order your copy of The Quilter’s Planner, including our magazine with 14 patterns by top designers like Leanne Parsons, CLICK HERE!